I can't believe this is the final day of the September Beauty Bloggers Challenge! September has definitely whizzed by, it only feels like last week I had decided to commit myself to this month long challenge! The final challenge is as follows.. 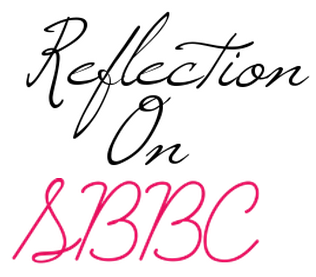 Reflection: how did you find #SBBC? Did you achieve your goals? What were the best/worst bits? I really enjoyed taking part in the SBBC, and i'm sad that it's all over. Like I said in the first post I did, way back on the first of this month (here), I chose to do this challenge because I loved all the ideas given, and because I knew exactly what to do for every day, I decided I might as well do the challenge. I wanted everyone who read it to get to know me better, and have a better understanding about what I like, and I think I successfully completed that goal. Judging by my page views, and all my other stats, my blog has definitely grown, which I am very happy about. Obviously, it wasn't all good, there has to be one negative, and that is finding the time to blog every day was quite hard on a few occasions, and because of that, some of my posts aren't particularly high quality. Other than that, I loved everything about this,and I think that I will definitely be spending more time on my blog from now on. I would like to thank "Girl Fridays Beauty Blog" for coming up with the SBBC. As I really enjoyed it,and I hope she considers more challenges in the future! what a fun challenge. We only just discovered it, so we've been reading through a few SBBC posts! Congrats on sticking with the month long challenge. It really was great to do, and I love reading through other people's posts too. Thank you!